One of the many things Ketan Vinod Chhatpar and his wife Tina Chhatpar have in common is a love for a�?escapea�� games a�� across various platforms, from mobile phones to Facebook. 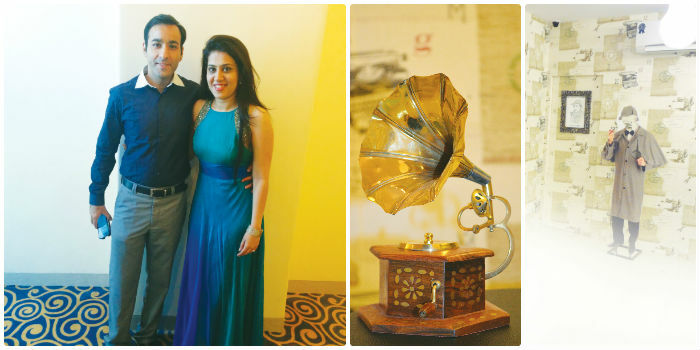 When they learnt that escape games were available in live, hands-on versions, in places like London and Paris, the couple decided that they had to be the first to bring it to Mumbai. a�?After some research, we can confidently say we are the only ones offering this in India at the moment,a�? says Ketan, though he agrees that a similar experience is available in the form of one-off treasure hunts that take place on a much larger scale. Started last month in Bandra West, Clue Hunt offers you two scenarios to choose from a�� a classic escape chamber where your goal is to escape in 60 minutes, and a mission where you are required to finish a task (usually diffusing a bomb), again in 60 minutes. You participate as a group of two to five people and Ketan, who is primarily in the construction business, shares that three is an ideal number in a group. While he cannot share too much about the details or nature of the clues, he does let us know that the classic hunt is period-based, while the mission has a more contemporary setting. And if youa��re wondering what happens once you complete both the rooms, Ketan assures us that they change the clues at least once a month, so you have a new experience on your next visit. In just a month of operation, Clue Hunt has seen about 40 groups (65 per cent have successfully completed them) participate and Ketan is sure that their next branch, in Bangalore, will come up by the end of March. And how much will this cost you? a�?We have priced it at Rs 1,000 per head for two, Rs 900 per head for three and so on,a�? says Ketan, stressing that since sessions are scheduled in half hour gaps, you have to arrive on time for your session or the clock will tick without you. And considering the skill level required, participants have to be 15 years and above, but kids as young as ten can join, if accompanied by their parents.